There is perhaps no greater tool for promoting a website and ensuring its success than great search engine optimization. With great SEO, websites can position themselves at or near the top in Google search engine results, as well as in the results at other major search engines like Bing and Yahoo. But, while this approach remains one of the best ways to promote a website, it also remains one of the most confusing and the least understood. Many website owners either give up on search engine optimization entirely, or never implement it in a way that will make a real difference in their website’s rankings. 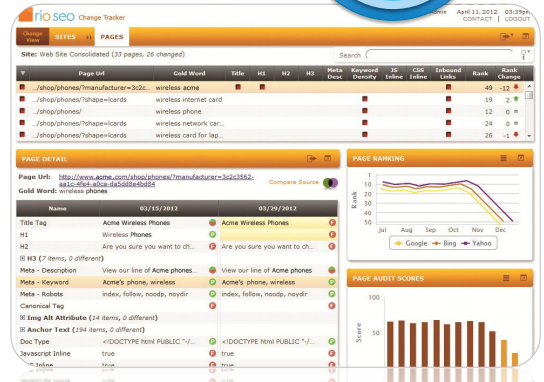 To help them in their pursuit of better search engine performance, RioSEO has developed automation tools that help to complete the job on the administrator’s behalf. Search engine optimization has always maintained a little bit of mystique, even among the most seasoned web developers around the world. Luckily, RioSEO has been devised to demystify good search engine optimization and actually automate the implementation of good techniques across the board. One of the things that sets RioSEO apart from many other search engine optimization solutions is that it actively focuses on all three major areas of optimization. That means going beyond the standard, global Google search and reaching customers via local search and mobile device results. Both of those areas are rapidly growing, spurred by development on sites like Foursquare, Facebook, Google+, and others. And, with mobile search engine optimization, website administrators can make sure that their sites are being seen even by those on the go. 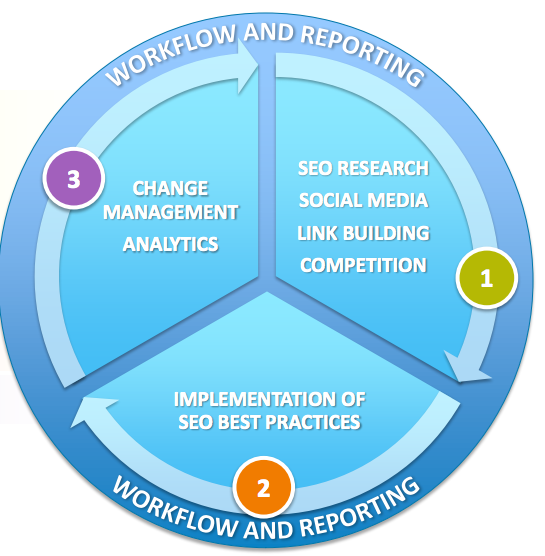 Best of all, RioSEO maintains three separate optimization utilities for automating each area of search. This is actually a very important and impressive feature. When all three are combined into just one utility, it can be easy to “cross-optimize,” placing mobile optimizations into a desktop website and targeting local search users where more international users should be targeted. The easy optimization of all three avenues, alongside the split optimization utilities, is a great way to help websites improve their footing with Google and other major search engines. 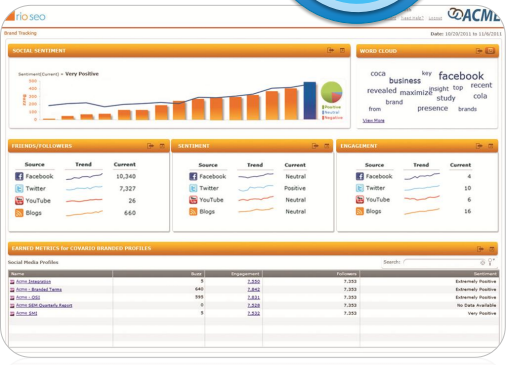 RioSEO isn’t the only search engine optimization tool that can completely automate the optimization process. It is, however, probably the best one on the market. And it all boils down to exactly how RioSEO handles ongoing search maintenance. Many of the automation utilities that directly compete with RioSEO simply examine a website, make recommendations or changes, and then instruct the user to keep up with good search engine optimization on their own. That’s not a winning strategy in many cases. RioSEO is different, and requires no ongoing maintenance on behalf of the website’s administrators or authors. Instead, the software itself engages in the ongoing maintenance and saves everyone a little bit of time. In a world that seems to be short on time, this is a big feature and one that really separates RioSEO from the competition. RioSEO is all about automation, but it’s also about giving final control to website administrators when choosing whether to embrace or discard SEO-driven changes. For this reason, RioSEO allows for a page-by-page upload of every page that has been modified for better SEO. It can optionally be set to simply upload all of those changes in a bulk manner, leaving approval out of the administrator’s hands. Both functions serve a good purpose, contributing either to deliberate review of modifications or quick and efficient changes to massive amounts of documents. Changes to pieces of content can be manually approved, as well, or the software can be set to make automated changes to content on an ongoing basis in order to improve its SEO-friendly characteristics. Again, this can be set by the administrator to coincide with their overall goals: deliberate changes or quick, automated results. RioSEO’s automated nature, and the three-pronged approach to search engine optimization employed by its utilities, is a great way for websites new to SEO to catch up. Quick results, excellent strategies, and effortless ongoing maintenance provide website owners with great results in a short amount of time, increasing value while easing peace of mind.